I’ve guest posted enough here on Animal Bliss that I feel that most everyone is pretty familiar with my dog, Baymax. Here’s a picture of him in case you don’t know him or want to look at his cute face. A couple of weeks ago, I participated in a 5K fundraiser benefiting people who struggle with fertility in support of a friend of mine. Naturally, I brought Baymax with me, because walking long distances is no fun without my best boy. Being a fertility- and family-focused event, there were many families there with their children. The event was relatively small — probably around 300 people — and in the hour or so the event lasted, no less than five young kids ran up to Baymax and got in his face, some even tried to hug him. If reading that made your anxiety skyrocket, then you know exactly how I felt. Luckily, Baymax is a Grade A Good Boy and didn’t react badly in any of the instances. I’d love to say he is just naturally that sweet and gentle, but he’s not. I’ve worked hard with him so that he is not reactive to surprises, such as energetic kids approaching and touching him. But this, and all the other times this has happened while out in public with him, just goes to show that we need to be better at teaching kids about dog safety. Now that the weather is nice and people are out and about taking walks or hanging out at a park, the chance that a dog bite could happen is higher. This means it’s the perfect time to start addressing child and dog safety. Parents need to teach their kids about dog safety, and dog owners need to ensure that their dog is ready for potential child ambushes. I get where kids are coming from. You see a dog; you want to pet it. Can’t blame them for wanting to get some good snugs from a big ol’ doggo — it’s a natural reaction! 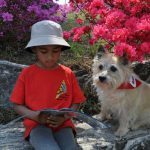 But what kids don’t understand is that not all dogs are okay with surprise loves — and that’s not a lesson that you want kids to learn the hard way, which is why it is imperative that parents and educators teach kids about dog safety. The first thing a child should be taught about dog safety is that they need to ask the owner for permission to pet their dog. Not only will this eliminate the element of surprise that could startle even the gentlest of dogs, but it will give the owner a chance to say no and remove the dog from the situation in the case that their dog is not good with kids or strangers, which is also a good lesson in patience and reacting nicely to negative answers — some things most young kids can always use more practice in. When an owner says “yes,” a kid should know not to rush into the greeting, because any sudden movements could cause an involuntary reaction. To greet a dog, the child should approach slowly and raise the back of their hand to the dog’s nose to let it sniff. From here, they can judge if the dog is enjoying the interaction (or not) by reading its body language. Whether for a first greeting, or just daily interaction, it is essential for kids to know how to interpret dog body language and emotions. 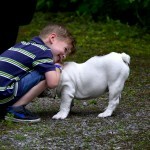 For their own dog and stranger’s dogs, knowing when a dog is enjoying interaction versus when it’s stressed will help kids figure out when they can continue play, or when they need to back off. Dogs can be very possessive and unpredictable when it comes to food and toys, so children need to know that they should never try and grab something from a dog when the dog is eating or playing with a toy. Teach kids to leave dogs alone when they are eating and to not get near the dish. 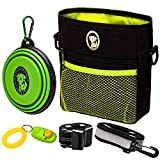 When it comes to toys and playing, teach children never to grab the toy from the dog’s mouth and to wait until the dog drops the toy before grabbing it. Telling your children to follow these steps is good, but just like everything else they learn, if they don’t get a chance to practice, they are likely to forget. Ask a friend with a well-trained dog if they will allow your kids practice nice and calm interactions with their dog. After your kids get familiar with being around dogs, then move on to asking people in the park with dogs if it’s okay for your kids to practice nice greetings with their dog — both “yes” and “no” answers will be good experiences for your kids. They’ll learn to greet dogs nicely with a “yes” answer and not to be too disappointed with a “no” answer. 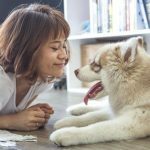 Safe dog interactions are not just the responsibility of parents to teach their kids; dog owners need to be sure they are training their dogs to be good with kids as well. Especially if you are a dog owner who doesn’t spend much time around kids, making sure your dog is familiar with children and behaves well around them is crucial for those times when a child approaches without warning. If you don’t, you could find yourself in a terrible situation. Baymax doesn’t get to spend much time with kids, but I do have nieces and nephews, and it’s important to me that he knows how to be good during the times he does get to see them. The advice below has worked very well for me, but if you have any doubts, consult a certified dog trainer. If you don’t have kids or don’t often find yourself around them, you need to go out of your way to take your dog where they can observe children. Dogs can be easily scared things they aren’t familiar with, and that includes tiny humans who are at face-level. A dog trainer I worked with told me a story of a dog given to her whose previous owners were older people who traveled in an RV, and their interactions were only ever with other adults. 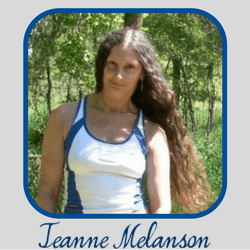 The lack of familiarity with children caused an intense and reactive fear of children that was unable to be trained out. Socialization is best when your dog is a puppy, but that doesn’t mean an older dog won’t benefit from it. Take your dog to a public park and have them sit or lay next to you to observe children playing. If they seem stressed, increase the distance between the playground and your dog. Once your dog is calm, slowly move toward the play area again while praising and rewarding your dog with pets and treats. Continue to praise and reward them for their continued calmness, until treats are no longer necessary for them to remain chill. Every dog needs to know how to greet a stranger calmly, whether it be an adult or a child. Jumping and high-energy greetings can be annoying for adults, and downright scary for children. Training your dog to greet strangers properly is a significant first step for teaching overall calmness. Initially, training your dog to greet calmly is going to take a lot of patience and a willing party. Ask a friend who understands the need for consistency, but hasn’t interacted with your dog much in the past. What your dog needs to learn is that they won’t get to interact with this new person unless they sit and greet nicely. 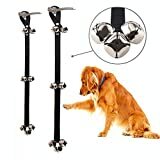 Make your dog sit, then have your friend approach them from 10 to 15 feet away. If your dog gets excited and stands up, your friend needs to turn around and walk away. Repeat this until your dog remains seated during the whole approach. Once your friend is close enough, and your dog is still sitting, give the command “say hello” to release your dog to stand and greet your friend. If the greeting is too energetic or your dog begins to jump, have your friend turn around and walk away, starting the whole process over again. Doing this will teach your dog that they only get the reward of interaction if they remain calm. I wouldn’t recommend using treats during this training, as the reward here should be the interaction with the greeter. Once you have successfully trained your dog to greet nicely with adults, start the whole process over with children. Preferably start practicing with kids who don’t know your dog, but also aren’t afraid of dogs. Since dogs are very intuitive to human emotion, fear or anxiety from a scared child may hinder training in the early stages. Beyond just greetings, your dog needs to know how to lower their energy when interacting with kids for longer than just a “hello.” They need to know not to jump, push, or run into children they may be playing with, and also to accept treats and toys gently. Start with training your dog to do these things with you. Make them wait calmly for treats or toys, and to take them gently when you say it’s okay. 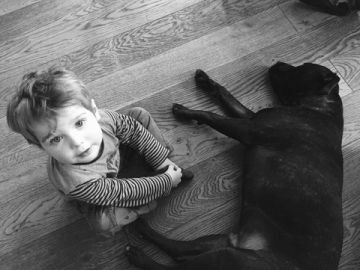 Once you feel your dog does these things well, invite a friend’s child who is comfortable and familiar with dogs to practice these things in a controlled environment. Eventually do it in more distractible environments, such as parks, and your dog will become very familiar with being calm and gentle with children. While you should know the basics of dog body language, just like humans, not every single dog is the same. Body language and reactions can vary from breed to breed and dog to dog. Only you know your dog and how it reacts to things, what it’s scared of, and how it acts when happy or anxious. 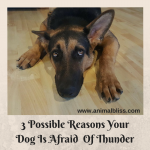 Knowing your dog and its mannerisms, reactions, and fears are going to immensely help you determine when you need to remove them from a situation. Taking Baymax as an example, he is a very confident yet anxious dog. He’s confident in that not many things phase him, but he does still get anxious in various situations. If you were to look for the average whining, tail-between-legs, and shaking, you wouldn’t pick up on his anxiousness. He has never put his tail between his legs for anything, even though he might be scared of something. 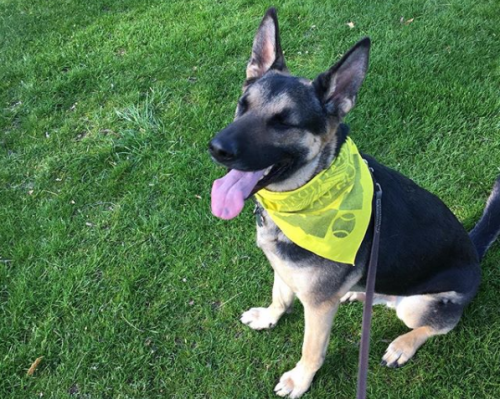 He tends to lower his head, stiffen up, and pull back his ears when he is nervous or scared, but he whines and cries when he is excited or happy about something (something I think many German Shepherd Dog owners are familiar with). Being obnoxious with your dog may not be advice that you’ve heard before, but I highly recommend it. What I mean by this is: surprise hug your dog, get in its face, pet it roughly, put your hand near and in their mouth, and play with its tail (if it has one) from time to time. Doing this may sound counter to a lot of information out there, but I truly believe that dogs need to learn not to be taken off-guard, especially with things they may not like. 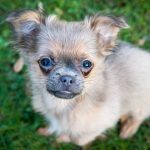 This method is probably easier to do with puppies and young dogs whose minds and gut reactions are still developing, and not something you can do with your older dogs who are somewhat set in their ways. 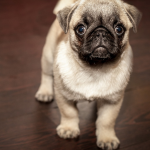 Of course, all of this will depend on your dog’s personality, and only you can be the judge on how they will react, but different levels of doing things to your dog that a kid might do will help them not to be shocked and misbehave when it happens. Baymax hates to be hugged and for people to be in his face. So I hug him all the time and pull his face to mine, no matter how much it annoys him. He’s learned to take it, and it’s a good thing because he has been surprise-hugged by more kids than I can count. Just a few weeks ago I was standing, talking to a friend at the park, and Baymax was standing behind me. When I turned around, there was a child — no more than four years old — with one arm around his neck, and her other hand on his mouth, trying to get kisses. I quickly told her “no no, where’s your mommy?” and separated her from Baymax, but if he wasn’t so used to getting these things from me, it could have ended very badly. Despite him not getting to spend much time with kids, he has never been startled by a kid running up to him or grabbing and petting him, and I attest that to my “obnoxious” interactions with him. 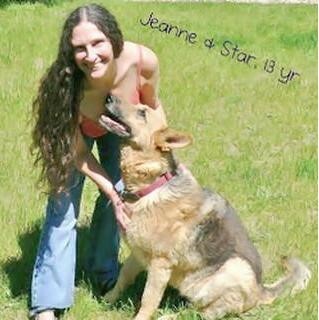 Unfortunately, sometimes a dog will never be good with kids, which is likely the case for adult dogs who never had a chance to get the proper socialization and training to be around and interact with kids when they were puppies. 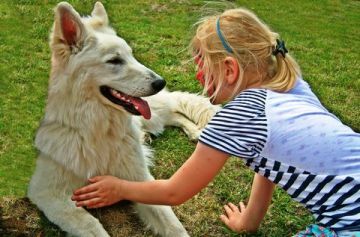 When you know your dog is tense or reactive around kids, and no amount of training seems to help, you need to be responsible and avoid situations where you will encounter children. Avoiding children may involve avoiding parks with playgrounds and taking alternate routes on your neighborhood walks when you see a kid in the distance. When having people over to your house, you will either have to ask that they don’t bring their kids, or crate your dog while your guests are over. Just because a dog doesn’t do well with children doesn’t mean that you need to get rid of it (unless you have children), it just means you need to be extra careful and aware of situations where your dog might encounter a child. Children and dogs can be unpredictable, so exercising caution is always the best thing. Teach your kids about dog safety, and train your dogs to be comfortable around children. A child running up to strange dog can end tragically, so it’s vitally important that parents and owners are doing everything they can to prevent a terrible situation. 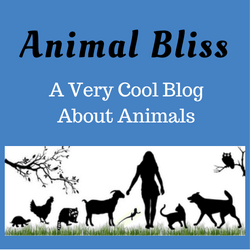 Does your dog interact well with children? Thank you so much! Believe it or not, I attended another event just a couple of days ago where more unsupervised young children were coming up to Baymax with no parent in sight. So stressful, but I’m glad he is well trained! Hi, Mike. Thank you for your kind words. I’m thrilled to hear that a puppy won you over. They always do. 🙂 I checked out your site. It looks very nice. All the best to you, your wife and your dog. OMG, that’s scary. No matter how well-tamed a dog is, there’s still a chance it would bite strangers if it felt threatened. 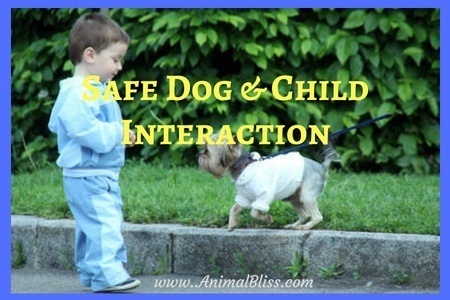 I agree with you that children must be taught of the safe way to interact with pets, especially pooches. Thanks for the tips. When I come to new dog and it owner. I ask the owner if I can pet there dog. Then I let the dog approch me…It seem to work out fine.